David A. Burks, M.D. is an associate of the Michigan Institute of Urology, P.C. He is Board Certified in Urology by the American Board of Urology. He has practiced in the Metropolitan Detroit area since 1989. He specializes in all aspects of adult urology with subspecialty interest in male voiding disorders, female urology, neurourology, and interstitial cystitis. Dr. Burks received his Bachelor of Arts degree from Cornell University. He received his Doctor of Medicine degree from the University Of Michigan School Of Medicine. He completed his General Surgery internship and Urology residency at the University of Michigan Hospitals in 1989. He was on the faculty of the Henry Ford Medical Group from 1989 through 2009. Dr. Burks has actively participated in research funded by the National Institutes of Health for 15 years. He has extensive expertise in interstitial cystitis, and sits on the American Urological Association Guidelines Panel for Interstitial Cystitis. Dr. Burks’s hospital affiliations include Henry Ford Wyandotte Hospital, Oakwood Hospital Dearborn, Oakwood Heritage Hospital, and Oakwood Southshore Hospital. His office practice is located in the MIU Oakwood Medical Building office in Dearborn. 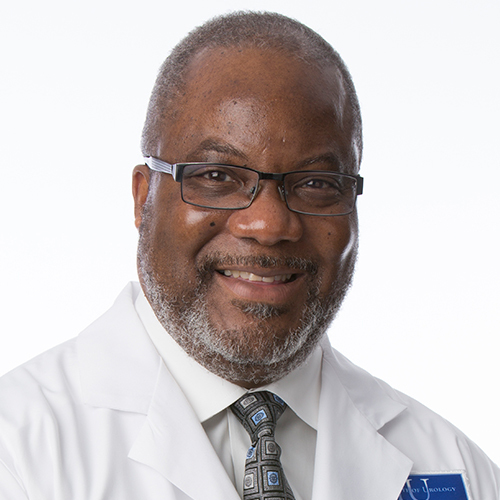 Dr. Burks is a member of the American Urological Association, the National Medical Association, the Michigan State Medical Society, the Michigan Urological Association, and the Reed Nesbit Urological Society. Dr. Burks’ interests include visiting art exhibitions, art collecting, jazz, bridge, and University of Michigan football.